Where did kitty litter come from? …Mr. Lowe, a 27-year-old Navy veteran who had been working in his father’s sawdust business, received a visit from a cat-loving Cassopolis neighbor named Kaye Draper, whose sand box had frozen. She asked Mr. Lowe for some sawdust, but on a sudden inspiration he suggested she try something he had in the trunk of his car, a bag of kiln-dried granulated clay, a highly absorbent mineral that his father, who sold sawdust to factories to sop up grease spills, had begun offering as a fireproof alternative. When Ms. Draper came back a few days later asking for more, Mr. Lowe thought he might be onto something. To find out for sure, he took 10 sacks, carefully wrote the words “Kitty Litter” on the sides and filled them with five pounds of the granules. Edward Lowe’s odd discovery in January 1947 meant that cats could come inside and stay inside. Their terrible smells would be absorbed. Kitty litter meant that cats were viable housepets. Cats, appreciative of warmth if indifferent to love, obliged. Lowe’s became one of the great stories of American business—the flash of insight ridiculed by naysayers (who will buy a bag of clay? ), countered by a vision and a powerful will to succeed. Who needs a car when they have a horse? Why would movies need sound? Who needs a computer in their home? Who needs a phone in their pocket? Lowe’s story ended exactly as you would expect of a kitty litter genius, with a $200 million sale to Ralston Purina and ownership of “22 homes, a 72-foot yacht, a stable of quarter horses, a private railroad, and an entire Michigan town.” There were also accusations of alcoholism and an estrangement from his children, but a reconciliation before he died. His monument is the Edward Lowe Foundation, its mission to “champion the entrepreneurial spirit as a cornerstone of the free enterprise system,” its campus in Michigan not far from Kalamazoo. Should I feel guilty about kitty litter? If you want. 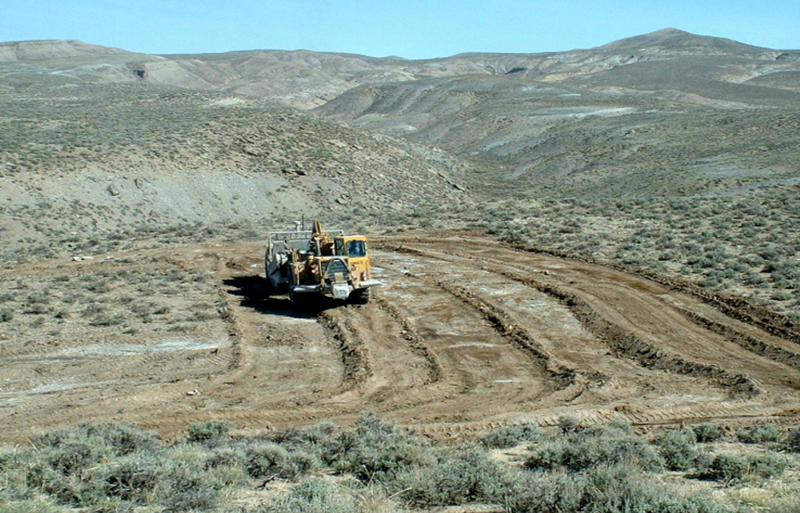 Clay kitty litter is bad for the world—it’s strip-mined dirt that is transported overland via combustion engines and ends up in landfill where it never biodegrades. About twenty companies strip-mine about four billion pounds of the necessary clay each year, according to Pet Products News. In comparison, the Great Pyramid of Giza weighs 13 billion pounds, if you like to contemplate huge pyramids of kitty litter. If litter traveled by container ship, that would be bad, because each container ship pollutes as much as 50 million cars. But it’s mined domestically, much of it in the Southwest. Here is the scoop: Clay litter is strip-mined; clumping litter is strip-mined and clumps in the lungs of your cat; organic litter doesn’t really biodegrade; and silica gel litter requires solid waste flushing, which spreads toxoplasma gondii into the water supply, infecting oysters, the beloved food of the joyful sea otter, so playful and sleek and, now, dead. “As is often the case with environmental issues,” concluded Pet Products News, “there is no perfect solution.” Still, on the scale of modern sweatshop-slaves-and-container-ship guilt, kitty litter hardly ranks. What is the relationship between kitty litter, nuclear waste, and the global news media? One way you pack nuclear waste is to put it in a barrel of kitty litter. There are many materials used in kitty litter, but presumably the kind used for nuclear storage would be a clay rich in zeolites, a class of naturally absorbent material that absorbs radiation. Fill a barrel with a zeolite, drop in the nuclear waste, and ship it to some rectangular U.S. state. 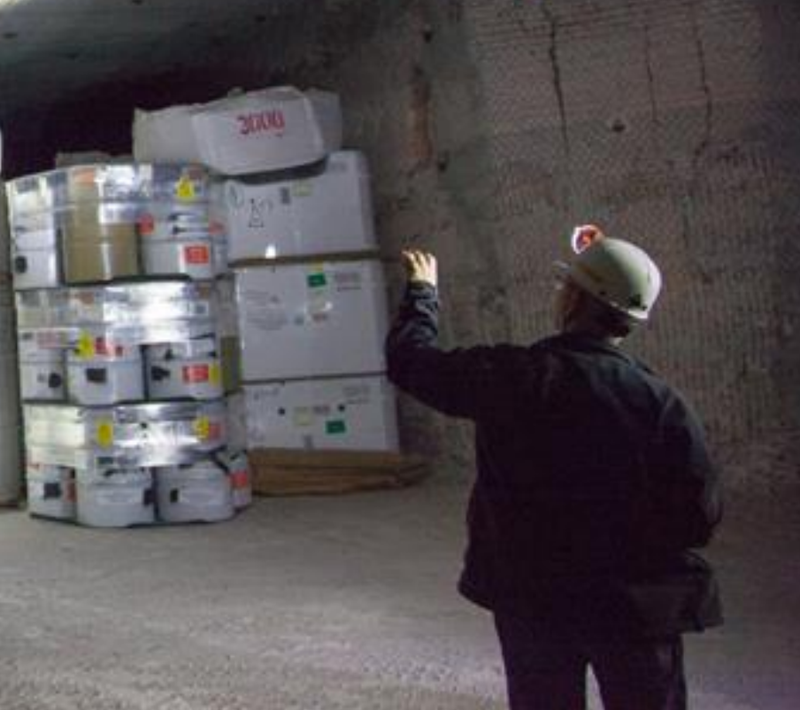 This worked for a long time, but in February one of the barrels exploded underground in New Mexico at the massive Waste Isolation Pilot Plant (WIPP) nuclear waste storage facility. Radiation alarms went off. In April, press releases and reports were issued, explaining how the WIPP performed in the face of the leak (not bad, apparently). Then on May 5, an energy expert named James Conca proposed an explanation for the nuclear leak in a blog post at Forbes, where he is a Contributor. It looked likely to him that someone used organic kitty litter instead of the clay type. The barrels overheated and exploded. If true, this would be spectacularly dumb, like building a stadium but replacing the cement with bread. The combination of nuclear waste and alleged government stupidity made for a perfect story, and it took about two weeks for the Forbes blog post to get noticed, digested, and excreted as national news. On May 30 the AP reported: “Officials are trying to determine whether a switch from inorganic to organic litter is to blame for a chemical reaction that caused an accident that contaminated 22 workers and indefinitely shuttered the plant.” Then the media trail goes cold. Radiation remains. One observation: We mine kitty litter from the American Southwest, ship it east, pack it around nuclear waste, and send it back to the American Southwest. There’s such balance in nature. Did kitty litter influence Internet culture? 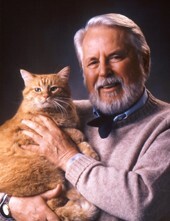 In 1947, Edward Lowe connected the odor-absorbent properties of fuller’s earth to the urine of cats. As a result, Felix catus was more welcomed indoors. Cat Fancy magazine was launched in 1965 (to the delight of Ayn Rand). The Internet came into being at the tail end of the 1960s. 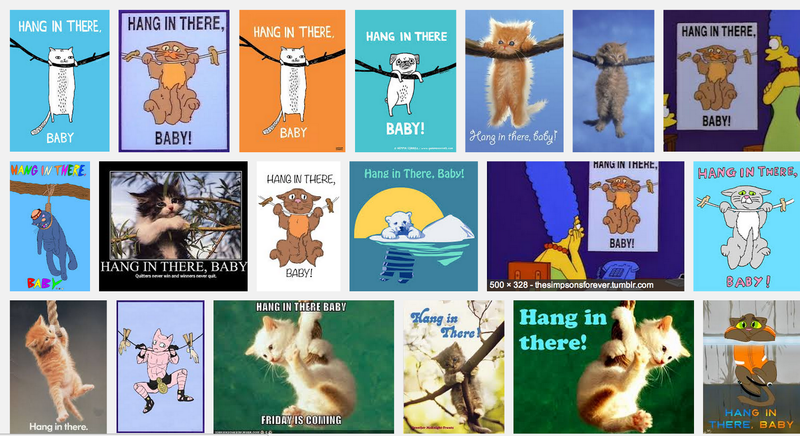 A poster of a cat “hanging in there” became very popular in the early 1970s. By 1985 cats were more popular pets than dogs. By the early 2000s: The Internet was huge, and pet-related media had become a staple of western culture; i.e. such films as 2001's Cats & Dogs (“Things are gonna get hairy!”), the Animal Planet cable channel, calendars, etc. There were 95.6 million cats kept as pets in the United States in 2012 and a recent poll found that 86% of Americans use the Internet. All of this might be true, but there is also an Occams Razor-ish explanation: “Internet media” is our culture’s basement, a pile of ephemeral junk all glued together on a severe budget. Cat pictures are a perfect fit for that culture. Say you are messing around on a web forum where people share pictures. And your cat is right there, indoors, thanks to Edward Lowe’s wonderful intuition. She is standing on the keyboard, in your way, staring at you with that blank look on her face like a soft furry shark. You don’t even need to stand up: Her body is small enough to fit in the frame of your cheap camera, which can take an infinite number of digital photographs at zero cost. Click! And again, and again. The only thing easier than taking a cat picture is taking a selfie. And if one of those hundreds of photos is particularly hilarious, you might share it. Then someone adds some words to it. And someone else, and so forth. 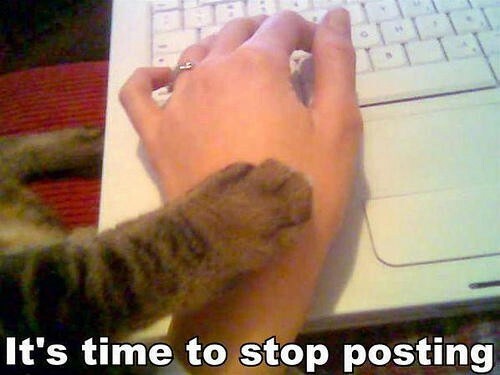 Thus Internet cat culture. Internet cat culture isn’t required to have a particular meaning, nor must our sharing of certain pictures represent anything fundamental about humanity’s need to connect to cats or each other. I propose that Internet cat culture exists because, collectively, we would prefer to remain in our chairs. By remaining seated we end up with slideshows, lists, countless videos, collections, memes, and the like, not to mention Longcat, Grumpy Cat, Nala, Lil Bub, and the various overhyped viral media empirelets built upon kitpix. And sweet, beautiful Maru. Certainly Ed Lowe in 1947 could never have predicted the memes and clickbait that would follow, but he figured out a fundamental rule of business that applies today as well as it did back then. If you want to change the world, fill a bag with dirt and give it a name. The world will come running. Thanks to Anil Dash, Kate Lee, and Quinn Norton.